Glenn: As the center of our own universe, we desire the ability to control everything that happens. However, as participants in a very multi-dimensional circus we will never have complete control over anything by ourselves. Of course there are steps that we can take towards manifestation. However once we have done what we can do, it serves us to let things go. Declare your desires to the universe, take the actions available to you, and trust that everything will align for your best interests. The answer may be different than your expectations, allow that there is a bigger picture. Glenn: While at times you may feel alone, you are also being supported by higher realms. The guides that are with you exist to support your progress and growth. They want the best for you and see the depth of your soul. Whatever doubts you may have about yourself, recognize that your guides do not have the same concerns. They see the goodness in your past, your glow in the present and the potential of your future. You have a fan club in the higher realms. They applaud your progress and support you with love and adoration. 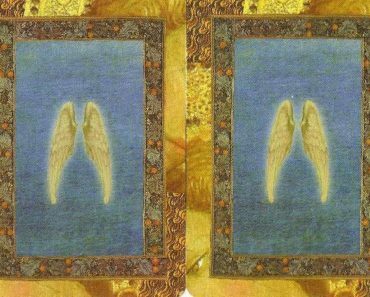 Doreen: God, the Angels, and the Ascended Masters who love, protect and guide you, are watching over you right now. You are not alone and you are safe! Glenn: There is more than one guide on your team. Your energy is special and there are many from the higher realms who are interested in your story and desiring your success. Each step along your path creates new mysteries and new possibilities. Know that you walk this path with assistance. Allow any weight on your shoulders to fade away. You are not alone in this game and have a very strong backup team helping you. Allow them to participate in your success. Do what you can do and then trust that you are supported from higher levels. Let things go. Put out pink bubbles of desire to the universe and allow them to float away. You may be surprised at the wonderful things that return to you.